Successful student recruitment is key to the flourishing of the field of marriage and family therapy (MFT). In this mixed methods study, guided by the theory of planned behavior, we interviewed 21 undergraduate juniors and seniors on their attitudes, subjective norms, and perceived behavioral control with respect to applying to MFT master’s programs within 2 years of graduation. Using their responses, we constructed and administered a survey to 174 participants. The survey included both direct and belief-based measures of attitudes, subjective norms, and perceived behavioral control towards applying. Overall, subjective norms (i.e., perceived social pressures from family, friends, professors and advisors, and MFT insiders) had the greatest predictive power of potential applicants’ intention to apply. We discuss the implications for MFT student recruitment, and offer specific recommendations. We would like to acknowledge support for this project from the Hanna Spyker Endowed Chair Research Grant from the College of Health Sciences at University of Louisiana at Monroe. We are very grateful to Dr. Wendel A. Ray for his support of this research project. Authors of this study report no conflict of interest. Informed consent was obtained from all participants before their participation in the study. This research does not involve animals. American Association for Marriage and Family Therapy. (2015). FAQ’s: AAMFT structural change recommendation. Retrieved from http://www.aamft.org/imis15/Documents/Marketing_Communications/DASC/DASCFAQs%20for%20Restructuring%20Recommendation%20v2.pdf. American Association for Marriage and Family Therapy. (2018). COAMFTE accredited programs. Retrieved from http://aamft.org/imis15/AAMFT/Content/Directories/MFT_Training_Programs.aspx. American Psychological Association. (2018). Search for accredited programs. Retrieved from http://apps.apa.org/accredsearch/?_ga=2.148736435.502617190.1528968435-1213760833.1524185213. Council for Accreditation of Counseling and Related Educational Programs. (2018). Directory. Retrieved from https://www.cacrep.org/directory/. Council on Social Work Education. (2018). Directory of accredited programs. Retrieved from https://www.cswe.org/Accreditation/Directory-of-Accredited-Programs.aspx. Health Professions Resource Center. (2007). The supply of mental health professionals in Tarrant County—2005. Retrieved from http://www.mentalhealthconnection.org/pdfs/workforce-update.pdf. Kranzow, J., & Hyland, N. (2011). Marketing climate: New considerations for target marketing in graduate student enrollment management. Journal of College Admission, 211, 22–25. Retrieved from https://files.eric.ed.gov/fulltext/EJ926820.pdf. McAdams, I. I. I., C. R., & Foster, V. A. (2000). Client suicide: Its frequency and impact on counselors. 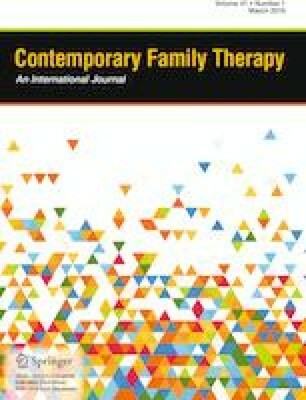 Journal of Mental Health Counseling, 22, 107–121. Retrieved from http://www.biomedsearch.com/article/Client-Suicide-Its-Frequency-Impact/65571662.html. Melillo, K. D., Dowling, J., Abdallah, L., Findeisen, M., & Knight, M. (2013). Bring diversity to nursing: Recruitment, retention, and graduation of nursing students. Journal of Cultural Diversity, 20, 100–104. Retrieved from http://tuckerpub.com/jcd.htm. Spruill, D., Millhollon, P., Shalett, J., & Hale, D. (2015, February). Where oh where have the LMFT’s gone: Why are we not growing and what can we do about it? Workshop presented at 2016 Louisiana Association for Marriage and Family Therapy Annual Conference, New Orleans, LA. Abstract retrieved from http://www.lamft.org/clinicians/conferences/abstracts-objectives. U.S. Bureau of Labor Statistics. (2016). Table 1.2 employment by detailed occupation, 2014 and projected 2024. Retrieved from https://www.bls.gov/emp/ep_table_102.htm. U.S. News and World Report. (2018). Marriage and family therapist. Retrieved from http://money.usnews.com/careers/best-jobs/marriage-and-family-therapist.